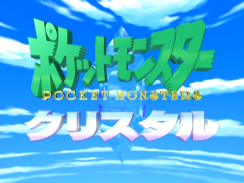 Japanese TV Special 002: "Pocket Monsters Crystal - Raikou, the Legend of Thunder"
Pokémon Chronicles Episode 01: "The Legend of Thunder - Part One"
In the land of Jouto, a young trainer named Kenta battles a trainer named Shinji with his first pokemon, Bakuphoon. Meanwhile, two members of the Rocket-Dan, Bashou and Buson, are called to the laboratory of Shiranui-Hakase in order to witness a demonstration. The professor shows them his Crystal Field Generation System, a weapon of sorts that is able to absorb electrical energy and use it to both ensnare and attack whoever the Rocket-Dan desires. 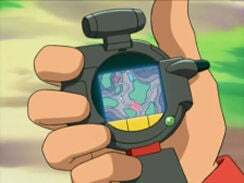 After the demonstration is completed successfully, the Rocket-Dan announces that it is ready to use their new weapon to capture "him." 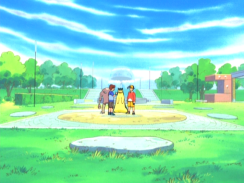 Later, Kenta takes his pokemon to the nearby Pokemon Center to heal their wounds after their battle. There, he runs across Marina, one of his childhood friends who is on a pokemon journey of her own. In addition, Kenta is able to talk to another one of his friends, Jun'ichi, via videophone. After Kenta catches up with his friends, Marina challenges Kenta to a pokemon battle. As the battle commences, a huge thunderstorm begins to brew and soon makes it impossible for the two young trainers to continue their battle. Marina's Muuma, who becomes frightened by the lightning, runs off into the forest, prompting Marina and Kenta to follow. When they catch up with the ghost pokemon, they are shocked to see Bashou and Buson using the Crystal Field Generation System to take all the electrical pokemon in the area! Before long, the crystal weapon attracts the Rocket-Dan's true target: the legendary pokemon, Raikou! Raikou attempts to save all the kidnapped pokemon, but the Rocket duo laughs as Shiranui-Hakase's crystal system is used to trap the legendary pokemon. At this point, Kenta steps in to stop the evil organization, so Bashou and Buson call on their pokemon - a Haganeil and an A'rmd. 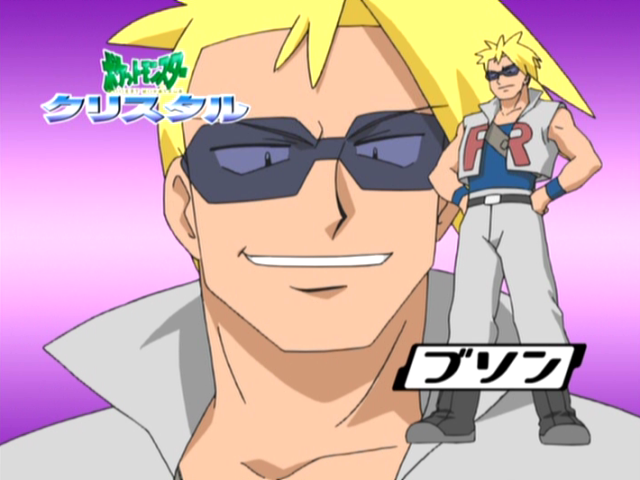 Can Kenta defeat the Rocket-Dan and rescue Raikou? Well, I guess the first movie's dub wasn't so bad after all. 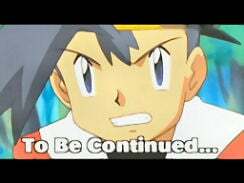 The much talked-about Pokémon Chronicles series begins with this episode, and what an episode it is. 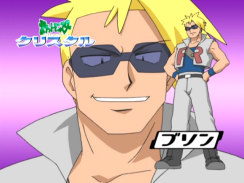 4Kids manages to make everyone forget everything good they've done with the Pokémon franchise in the past seven years by completely botching this special up in every way imaginable. There are so many screw-ups, mistranslations, and needless edits that you'd think 4Kids was intentionally trying to piss us all off. Um...I guess the first thing I'll talk about are the big things that everyone knows about. Kenta, who was referred to as Yoshi in "Tie One On," has been renamed Jimmy for these episodes. In addition, Marina, who was referred to as Dani in that very same episode, has now gone back to being called by her Japanese name. Now there are people who will argue, with some amount of legitimacy, that the names "Dani" and "Yoshi" could have been in reference to some other characters. 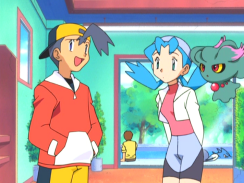 The argument is that Jackson was saying hi to some other trainers or family members or something like that and that Jimmy and Marina are really meant to be the "real" dub names for Kenta and Marina. If that was the case, however, then that means that 4Kids screwed up when they dubbed "Tie One On" since the Japanese version was indeed making reference to these characters. So whether 4Kids messed up then or are messing up now, they're still messing up. What people can't argue is that Jun'ichi, who was named Jackson in "Tie One On," is now called Vincent in this episode. There may be room to argue about the other two, but changing Jackson to Vincent is really unacceptable. It's only been about a year and a half since "Tie One On," and Jun'ichi WAS a competitor in the Jouto League after all. There's no excuse. Now there are people out there, breathing the same air as you and me, who defend 4Kids by arguing that the names in "Tie One On" were the characters' last names, and that the names used in "The Legend of Thunder" are their first names. This would produce "Jimmy Yoshi," "Marina Dani," and "Vincent Jackson." 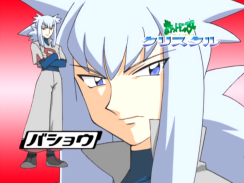 Thing is, Jun'ichi would have absolutely no reason to go into the Jouto League using only his surname, nor would he have any reason to refer to his friends by their surname. Besides that, "Yoshi" and "Dani" aren't really family names at all. On the Rocket side of things, Bashou and Buson have been renamed Hun (Bashou) and Atilla (Buson). You know, like Atilla the Hun. The mind-boggling thing is that Hun, for no rational reason, is changed into a female in the dub. 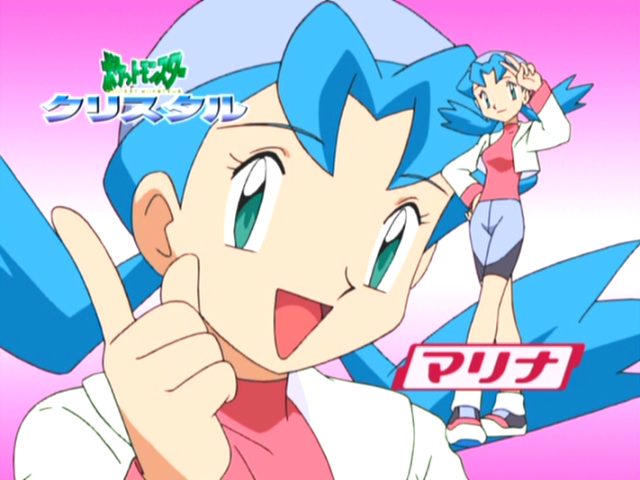 That's right; this episode gives us the first time 4Kids has ever changed the gender of a character for their Pokémon dub. The character was obviously cast based on his appearance, because if the producers had bothered to even watch the Japanese version, they'd be able to hear that Bashou has the deepest voice in the special. There really is no reason to change his gender; he's not a homosexual (like Zoicite or Fisheye in Sailor Moon / Sailor Moon Super S), and we've certainly seen girly-looking men in the anime before. 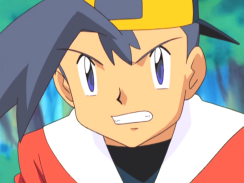 Some will say that 4Kids didn't like the idea of having a Rocket duo consisting of only one gender, but that theory falls apart when you remember that Annie and Oakley, who the dub tells us are from Team Rocket, were both the same gender in the fifth movie. Then there are those who refuse to believe that Bashou had his gender changed at all due to a line said by Kudo in Part Two, but I'll address that when we get to it. If all this name changing isn't enough, the script is absolute crap, and the episode is full of random cuts made for no reason. Marina's character got absolutely slaughtered, and 4Kids seems to have something against giving us any backstory to these characters. Raikou keeps its Japanese voice, just like the Raikou robot did in "Watt's With Wattson." 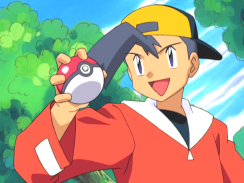 And, just like in "Watt's With Wattson," the pokemon's name is mispronounced. Guess Nintendo of America should have opted to spell the character's name as "Raikoh," huh? Also, Bakuphoon and Spear keep their Japanese voices. So the special starts off with the opening theme to Pokémon Chronicles, which I have taken to calling "the most horrible song ever recorded." Then I look back at the statement, reread it, and then find that I'm forced to revise it. Because calling this thing a song is an insult to every musician on the planet. I don't know what genius thought that spelling out the word pokemon would make for a great song, but he is very mistaken. It's the worst mishmash of music and video I have ever seen, and I've seen the opening to Dragon Ball Z Uncut. The first thing that may stick out is the fact that the background music has been completely replaced for this special. Except for the three seconds where we hear the Jigglypuff theme, every piece of music in this special was replaced for the dub. The Japanese version used a lot of music from the fourth movie (the Celebi one), but for some reason 4Kids chose not to use any of it even though we know they have the rights to use it. The music 4Kids does use, which sounds like it comes from the English versions of the first three movies, does a good enough job of not getting in the way, so it's not all bad. For some reason, 4Kids gives every shot until the title screen of the episode a faux-letterbox effect by adding black bars at the top and bottom of the screen. I guess they wanted to make the beginning look more cinematic, for some reason? So we start the special off with Hitmonlee's voice, which is completely different from the Hitmonlee voice we're used to hearing. Great. Dubbed Shinji: "We like to put our best foot forward!" Oh, I get it. Hitmonlee uses its feet to fight. Ha ha ha. That's comedy gold right there. Jimmy: "Aw yeah! Hi paw!" Dubbed Shinji: "We're going to learn from this defeat and next time we'll be stronger!" 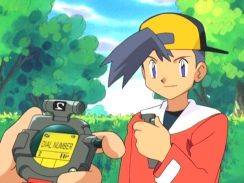 What follows, in the Japanese version, is Shinji introducing himself as Shinji from Kaso City before he exchanges PokeGear numbers with Kenta. All of this is cut from the dub. 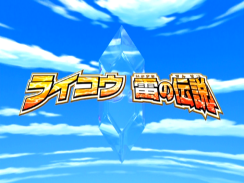 In Japan, the Raikou special had its own opening theme that played right after the narrator's introduction of pokemon called Aratanaru Chikai. 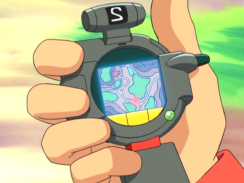 In the dub, we get a title screen for the special (which the Japanese version didn't do) and then cut right to the shot of Team Rocket's helicopter. Professor Sebastian: "Welcome, Hun. And who is your new partner?" Hun: "Atilla the world's foremost wrangler. Now isn't that right?" Atilla: "Nothing I can't catch, given the right gear." No, Atilla isn't Hun's "new" partner, and he sure as hell isn't referred to as a "wrangler" in the Japanese version. 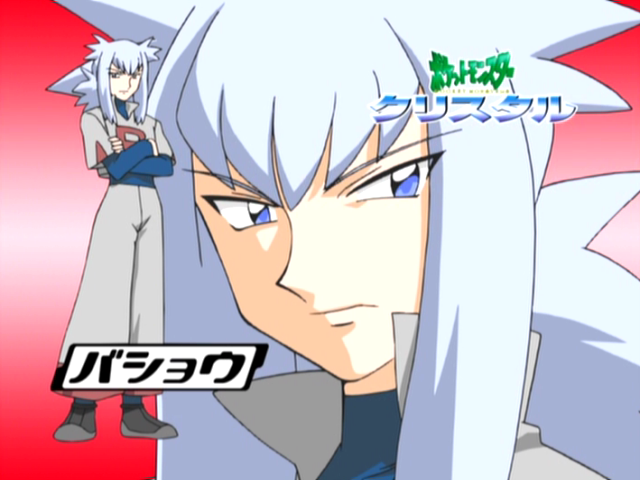 Originally, the duo was just introducing themselves to Shiranui-Hakase. The dub will persist in giving Atilla all these wrangling lines throughout the special. You know, just for the hell of it. The backwards looking 2 on Kenta's PokeGear is erased in the dub. Among my many complaints about this episode, the handling of Marina's character ranks among my top three. In the Japanese version, Marina is a trainer who wants to become an "Idol Trainer." This much we see in the dub. 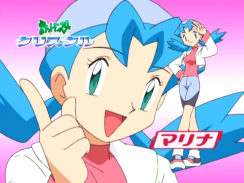 However, Japanese Marina is also a very competent trainer and realizes that if she doesn't treat pokemon battles seriously, her dream of being an Idol Trainer will never come true. Marina's tactical expertise is completely lost in the dub. She talks way more than she does in the original and prattles on about things like being a great star and how wonderful she is. She becomes this annoying self-centered witch with no redeeming qualities whatsoever, which is a shame considering she's one of the main characters in this special. Marina my not be my favorite character or anything, but no character deserves to be reversioned the way she is. Vincent: "Hey! Look what the Gengar dragged in!" I don't know what the hell 4Kids was going for here. Wouldn't it have made a LOT more sense to say "Look what the Persian dragged in," or "Look what the Meowth dragged in?" I mean...GENGAR!? How the hell does that make sense!? Saying Internet shortcuts out loud is bad enough, but then 4Kids has to go and have Marina call Vincent "sweetie-pie," something the Japanese Marina would NEVER do. After Kenta hangs up on Jun'ichi, there's a short scene showing Marina asking Kenta what Jun'ichi wanted to tell him and Kenta responding by saying that he was just asking for a pokemon battle. Marina then asks Kenta if he wants to get a drink. This is all cut for the dub. The entire conversation between Kenta and Marina was rewritten in the dub. No backstory for you! Marina: "So, did you miss me? Come on! You can admit it. Even if it was just a little bit." Originally, Marina was still talking about Jun'ichi, telling Kenta that he would call her whenever he noticed swarms of Yanyanma or things like that. The way this line is translated in the Excalibur Fansubs makes it sound like Jun'ichi actually owns a Yanyanma, but I've been informed that that's not the case. Either way, Japanese Marina isn't talking about whether or not Kenta missed her. Marina: "Kenta!" Marina: "You know what I think, Jimmy?" Marina: "Tell me, do you think I'm foolish?" Marina: "I think you might be afraid of me." Kenta: "That's not true." Jimmy: "Uh! Why would I be afraid?" Marina: "It must be! Unless, maybe...you're being shy?" Marina: "Well, I dunno. Maybe cuz you kinda like me!" Kenta: "N-no I'm not!" Jimmy: "Oh, come on!" Kenta: "Ba-Bakuphoon! What're you laughing at!?" Jimmy: "Typhlosion! What are you laughing at!?" Marina: "Yep, you're shy after all! How cute!" Marina: "I think it's kinda sweet. And kind of cute." Kenta: "Fine! Think what you want then!" Jimmy: "Oh! Marina, stop! Please! Can we change the subject!?" Marina: "By the way, Kenta, what did you do after that?" Marina: "Alright, let's talk about training." Marina: "After we got our pokemon from Utsugi-Hakase, we each took a different road, right?" Marina: "So, since the last time we saw each other, I've gotten into as many pokemon battles as I could." Marina: "I met up with Jun'ichi again soon after. I didn't see you anywhere, but maybe you went to get some pokemon in a nearby town?" Marina: "...and every one I try to make into a grand performance! You see, I want to make people happy. When they watch me, I want them to laugh and have fun!" Marina: "I knew it! Kenta, your pokemon sure seem happy." Marina: "I guess...making people happy makes me happy." Kenta: "It's because I made them a promise. "If I become qualified as a trainer, we'll all travel together, win at every league in the country, and become as great a team as we can!"" Jimmy: "Hey, do you remember the kids from the neighborhood?" Marina: "Yeah, sure Jimmy! Of course I do!" 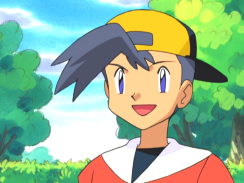 Jimmy: "Well, I want to become a great Pokemon Trainer so that I can go back and help them. That's what I battle for." Marina: "But unless you surpass Wataru-sama, you'll never make history!" Marina: "Maybe one day you'll be a great Pokemon Master just like Fabulance!" All of the eyecatches for this TV special get removed for the dub. Which, while expected, is certainly a shame considering how awesome they all are. The first batch are Kenta and Marina. Kenta: "The attacks aren't hitting!?" Jimmy: "Hey! How can it dodge Beedrill like that?" Marina: "Well? Impressive, huh? You may be faster, but in the air your attacks are easily dodged! An Idol Trainer can't get by just singing and dancing. We have to be knowledgeable about battling, too!" Marina: "Lots of dance lessons. Not to mention endless hours of rehearsal. Hey, this could be the start of a great routine! We could add some rap music, then all we need are some lights, and a few backup singers, and we could call it "Jigglypuff's Jam" or how about "Victory Vogue!"" 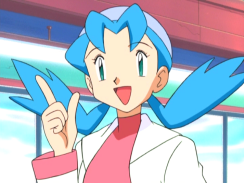 Also, dub Marina never mentions the fact that her Croconaw evolved from the Totodile she received from Professor Elm. In the Japanese version, she does. Atilla: "Alright! It's round-up time! Y'know, this reminds me of big time ropin' and ranchin' at my uncle's place in the black hills! Heh, here we go! Yipee Yai Yay!" None of that is even close to accurate. Originally, Buson was saying that since so many electric-type pokemon have gathered in the area, that they might as well gather them up. Atilla: "Hey, this is like that contest game! Hoo ha ha ha ha ha ha! Only here you win a prize every time!" Originally, he just says that he'll take as many pokemon as he can carry. And finally, the Pokédex has been recast for this special for no reason at all. 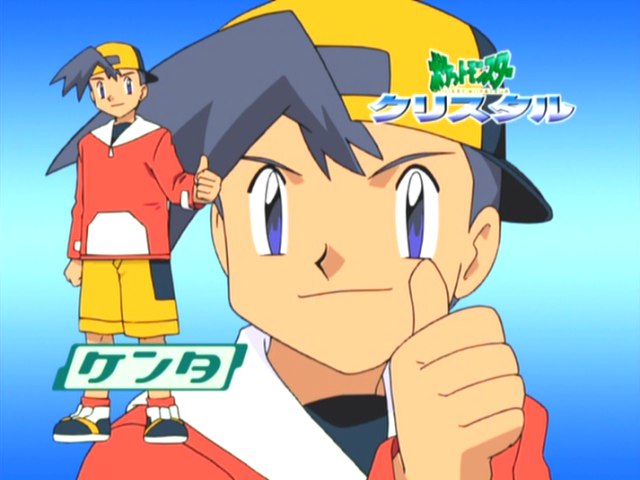 Originally, Kenta's Pokemon Zukan sounded exactly like Satoshi's Pokemon Zukan. Hun: "It's perfect. The more it fights, the stronger we get." There's a shot of Raikou falling to the ground, followed by a shot of Jimmy looking on in horror. In the Japanese version, those scenes were reversed; originally we saw Kenta's look of horror and THEN we saw Raikou fall to the ground. And to think that there are 21 more episodes just like this. At the end of the episode, the final shot of Jimmy's face is given a fake letterbox effect while the words TO BE CONTINUED... appear at the bottom of the screen. This isn't done in the Japanese version. Two more eyecatches get removed. This time, we get eyecatches for Bashou and Buson.